Our website has a number of customer-friendly features. You can check out our latest finance specials for those who are looking to lease or finance a new Acura vehicle. To get information on Acura financing, you can visit our finance section. We also make it easy for you to schedule a service appointment online, or to get Acura service information. Our site also gives you the ability to order genuine Acura parts and accessories online. Manufacturer recommended parts are an important part of maintaining your vehicle’s optimum performance. At Walker Acura, we offer the same high quality parts your vehicle was built with, and we keep a large inventory of OEM certified parts in stock. 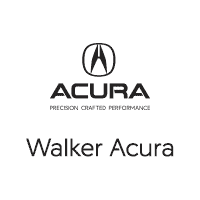 The Walker Acura service department strives for 100% customer satisfaction. From routine maintenance such as oil changes and tire rotations to major repairs, let Walker Acura service your vehicle. Our dealership is one of the premier dealerships in the country. Our commitment to customer service is second to none. We offer one of the most comprehensive parts and service department in the automotive industry. Walker Acura in Metairie, LA treats the needs of each individual customer with paramount concern. We know that you have high expectations, and as a car dealer we enjoy the challenge of meeting and exceeding those standards each and every time. Allow us to demonstrate our commitment to excellence! Our experienced sales staff is eager to share its knowledge and enthusiasm with you. We encourage you to browse our online inventory, schedule a test drive and investigate financing options. You can also request more information about a vehicle using our online form or by calling (504) 464-4004. If you don’t see a particular vehicle, click here and complete the form. We will gladly inform you when a matching car arrives. If you’d like a see a vehicle in person, click here for step-by-step driving instructions to our site, or give us a call. We look forward to serving you! Fully Trained Staff to handle any Acura need you encounter. Convenient Saturday service & parts hours to have your vehicle back on the road quickly. Free vehicle wash with every service repair. Courtesy van for customer pick-up or delivery. Loaner vehicles available for added convenience. Free wireless Internet for guest. Complimentary Starbucks Coffee and other assorted beverages provided for our guest. Affordable menu pricing to keep our prices competitive. Building upgrades to improve our performance as well as our looks.